1300Rubbish specialises in removing appliances of all shapes and sizes. Don’t wreck your back trying to lift heavy items when all you need is someone to help. We take care of all of that, you don’t have to lift a finger. 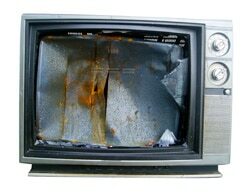 Some Appliances contain nasty chemicals which wreak havoc on the environment when sent to Landfill. Have the peace of mind that 1300Rubbish is an environmentally minded business and always take the utmost care in disposing of these items.